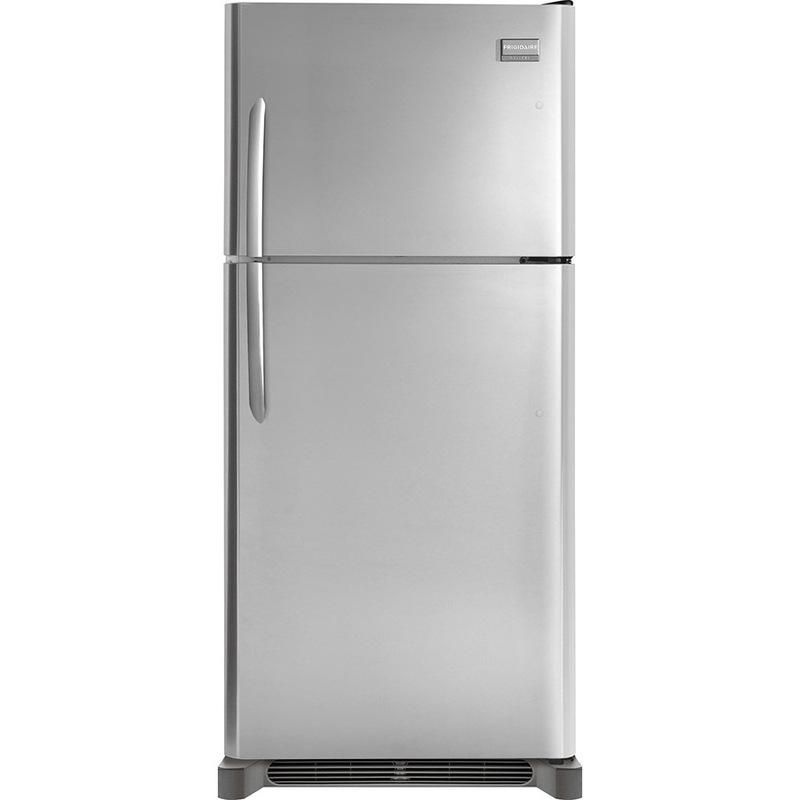 This Frigidaire Gallery top freezer refrigerator makes finding your food easy thanks to the plentiful energy-efficient LED lighting that casts a natural bright lighting inside as well as on side mounted controls. The see-through crisper drawers provide effortless organization. In addition, the humidity control within the crispers allows you to adjust the humidity in each crisper individually. Full-width, spill-proof glass shelving is easy to clean with just a whip and they help contain spills by stopping them from running to the other parts of the fridge. 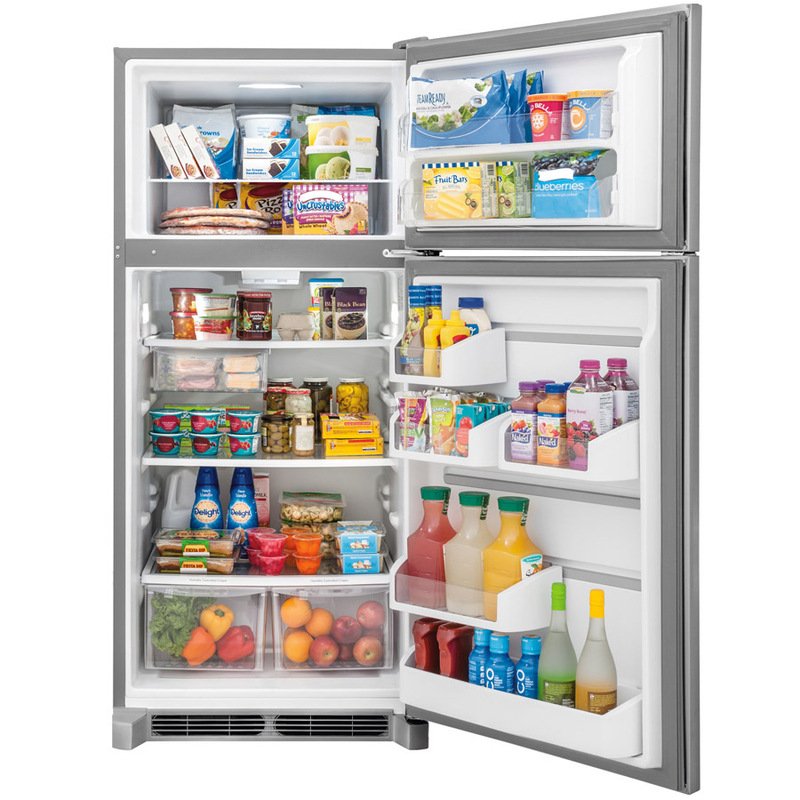 The Custom-Flex door storage system allows you to easily adjust your refrigerator door configuration to suit your ever-changing lifestyle needs.